Farmingville, NY - Suffolk County Police arrested a man and seized drugs and a weapon following the execution of a search warrant at a Farmingville residence. 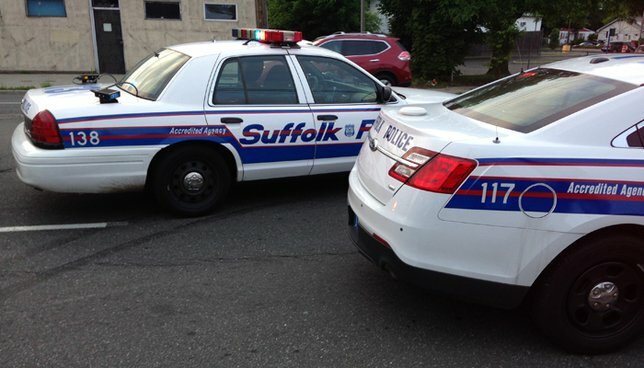 Suffolk County Police Sixth Squad detectives responded to a 911 call reporting shots fired in Farmingville. Two men kicked in the front door of a residence on Horizon View Drive, displayed a gun, and demanded drugs and money from the homeowner at approximately 2:10 a.m. The homeowner, Sukhman Janjua, fired a shotgun at the robbers, who fired their gun as they fled, striking two houses on View Drive with a single bullet each. Detectives recovered drugs at the scene. No one was injured. Janjua, 21, was held overnight at the Sixth Precinct and arraigned at First District Court in Central Islip. Subject: LongIsland.com - Your Name sent you Article details of "Man Arrested Following Search Warrant in Farmingville; Drugs and Weapon Seized, Cops Say"